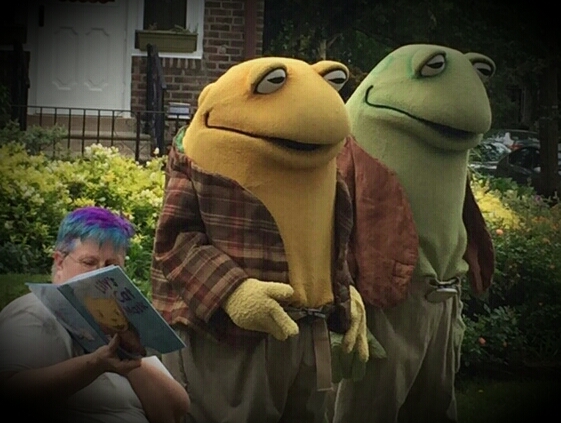 A book reading on Kids Literacy Day drew a healthy crowd along with celebrity guests, Frog and Toad to our very own neighborhood park! A comfortably cool May 20th saw a day of fun with a parade from co-sponsor Big Blue Marble Bookstore to Ned Wolf Park. 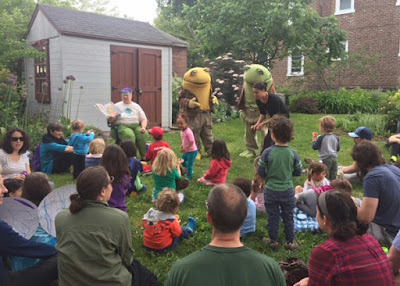 After a reading and some tasty snacks, there were more readings by a group of children's book authors back at the store. Thanks also to Mt. Airy USA which is actively trying to raise awareness of our community's Little Free Libraries and sposor book drives to support them.